The ability of couples to weather marital storms, she says, depends largely on each partner’s sense of “felt security” within the marriage. When subjects in the study felt loved and valued by their partner, they tended to move closer to that partner during difficult times. On the other hand, the study found that people who feel chronically less valued typically scrutinize their spouse’s behavior for evidence that they are accepted. How do people come to have “low self-esteem?” In answer to a UPI reporter’s query, Dr. Murray noted that current research on the quality of early-childhood attachment between parents and children may hold part of the answer. Leaving aside for the moment the possibility that Murray’s study affirms the obvious (“Snap at people and they’ll snap back at you! ), the data begs a closer look. One question not addressed in the published accounts is: how many of the partners identified as having “low self-esteem” were women, and how many of the recipients of a partner’s unjustified anger were men? (The study does not specify the sexual orientation of the couples, an omission which suggests that the sample did not contain many, if any, gay partners.) Is the quality of communication in the marriage impaired solely by one partner’s low self-esteem stemming from personal family history, or is there something going on in the here and now to cause that partner to feel less valued? I will make a giant leap here. After living over 50 years as an American female, watching lots of stand-up comics do their shtick, and treating couples for over a decade or so as a therapist in Los Angeles, I would hazard the guess that women fall more often into Murray’s “low self-esteem” column than the men in her study. How do men and women signal to each other that they are valued, when one of them is feeling stressed and low-down? Could the differences in the ways that women talk with women, and men talk with men, offer any instruction here? We do know that women tend to assume a common bond of, and talent for, commiseration when they are under stress. In their initial approach to each other, they aren’t only, or even mainly, seeking solutions to the problem at hand, so much as they are looking for affirmation of their sanity, and the honesty of their intentions as a fellow human being who makes mistakes, and gets confused and upset. Women talk of the “relief” of “having someone to talk to.” It clears the mind, and renews the appetite for confronting a problem , and then finding a solution –alone, or collaboratively. Heterosexual men tend to offer practical advice to each other when they are facing a problem. Their style is to minimize their sense of distress. They go to great conversational lengths to avoid distress, not to share it. Shared anxiety is experienced as an alarming distraction, and in the worst case a harbinger of disaster. To men, women’s excitement in discovering that they share anxiety seems bizarre, and counter-productive to problem-solving needed to get beyond the anxiety in the first place. Two cultures, two very different approaches to what constitutes support when one is under stress. There is of course an added dimension to the problem. “Woman the Commiserator” is seen as less effective than “Man the Decision-Maker” in the culture at large. “Hand-holding” is sissy stuff. It’s what you do in your spare time, if at all. As we grow up we internalize this evaluation of these different approaches to “supportiveness” under stress. In light of the ideas we grow up with, the issue is broader than addressing one partner’s deficient level of self-esteem. Challenging the value judgments about how men and women express their emotional needs is as much the work of psychotherapy as is the traditional work of uncovering the familial antecedents of patterns of thought and feeling. A willingness on the part of couples to bridge the cultural gender gap — to reconcile commiseration with problem-solving ö is a key to creating a trustworthy mutuality, once the initial ecstasy of falling in love is past, and daily life in a “cross-cultural” relationship begins. There’s no question that some of us, men and women, conditioned by family hurt, social status devaluation, bad luck, and combinations of all three, can develop paranoid behaviors by default. But there is much a couple can do to turn hostility into useful energy for moving onward together. In our openness to act to repair and reconnect, after the inevitable miscues and disconnection, men and women can build a stronger, more durable bond. * “Once Hurt, Twice Hurtful: How Perceived Regard Regulates Daily Marital Interactions.” Journal of Personality and Social Psychology Vol. 84, No. 1, Jan 03. 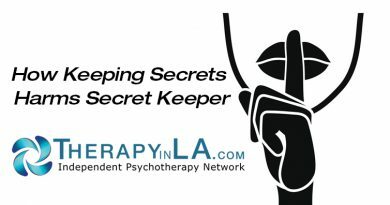 Anita Frankel is a psychotherapist in practice in Los Angeles. She is a member of the Independent Psychotherapy Network.